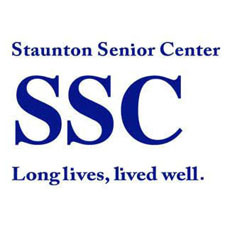 The past year has moved by quickly as the Community Quilters has been meeting every second and fourth Monday from 2:00-4:00 p.m. in the conference room at Staunton Senior Center. The group, headed by Brenda Bruce, normally consists of about five or six women; they are most fruitful and have a great time of fellowship as they carefully place fabric squares, creating gorgeous pieces. Community Quilters’ most recent accomplishment is a beautiful queen size quilt that is pieced from half-square triangles which will be raffled this fall to benefit SSC in connection with the Holiday Bazaar to be held in late November. Currently the ladies are working on a twin size quilt made of colorful flower blocks. All of the group’s projects are charity quilts either for the Center to sell or raffle or to give to other organizations such as the women’s shelter or Veterans hospitals. The fabric, batting, and other materials are donated to SSC. Community Quilters welcomes all levels of sewing experience as they learn from each other, working at a craft they love. Extra sewing machines are available, so anyone wishing to join need not bring a machine.